Webmasters can monitor these parameters and adjust if required in order to improve the site’s visibility in Baidu search engine. All these Baidu Site Analytics Tools are available under Web Analytics section of Baidu webmaster tools account. Inbound links is the very useful feature shows the number of links pointing to your site from other sites. 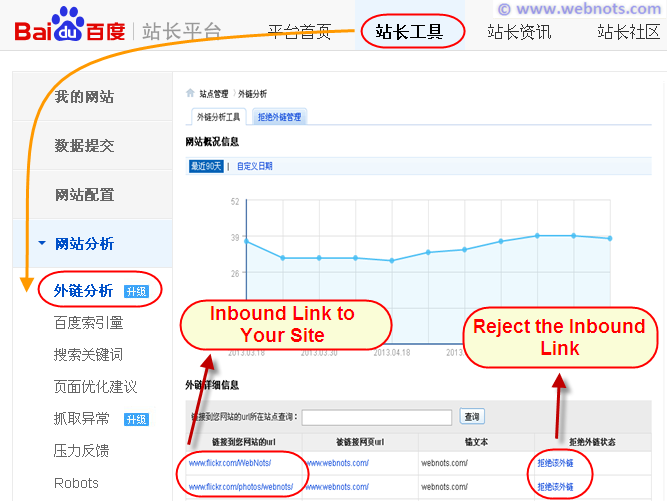 If you find the inbound links to your site as spam or low quality then Baidu provides an option to inform about the links. It may take up to a week time for Baidu to process the submission and consider your request. Use the “Reject Inbound Link” option to reject those links from considering it in the search ranking. 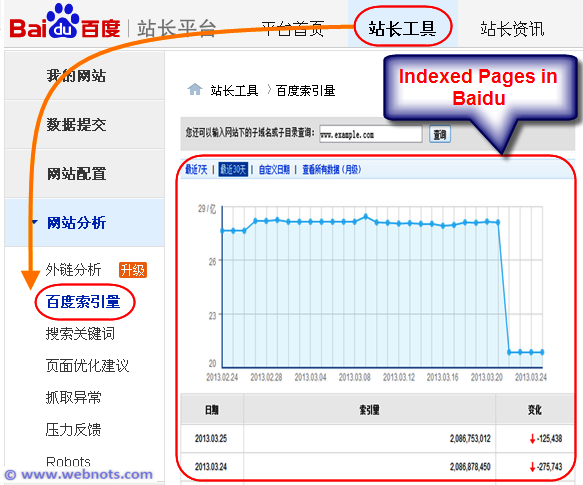 Here you can check the pages indexed by Baidu from your site. 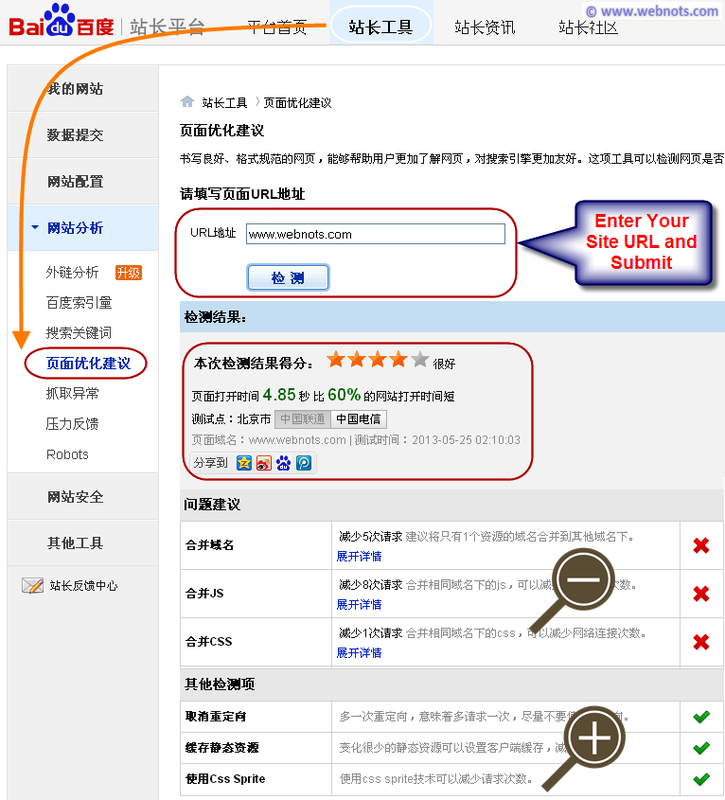 Even though Baidu allows adding English sites in webmaster tools it gives preference to Chinese sites and sites hosted on servers located in Chinese. If your site is primarily of English content then it may take long time to be indexed in Baidu based on the popularity of your site. This section shows you the keywords for which your site was shown in the search results. Using standardized formats helps the search engines to index your pages easily. 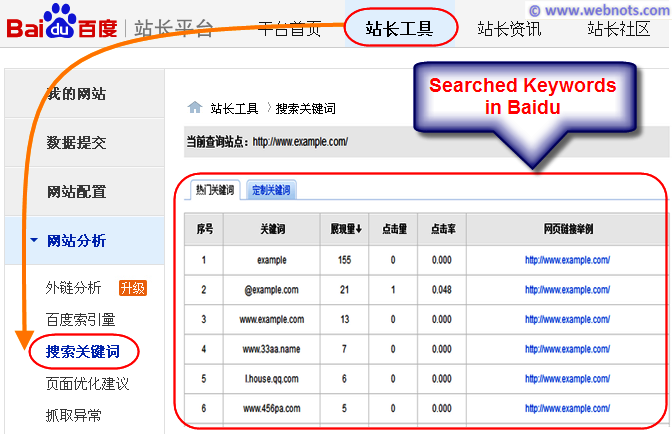 Baidu’s page optimization tools helps to detect whether a page is search engine friendly and gives recommendations. You can submit important pages in your site to get optimization recommendations and correct any error if found. You can submit only one page at a time for getting optimization tips. 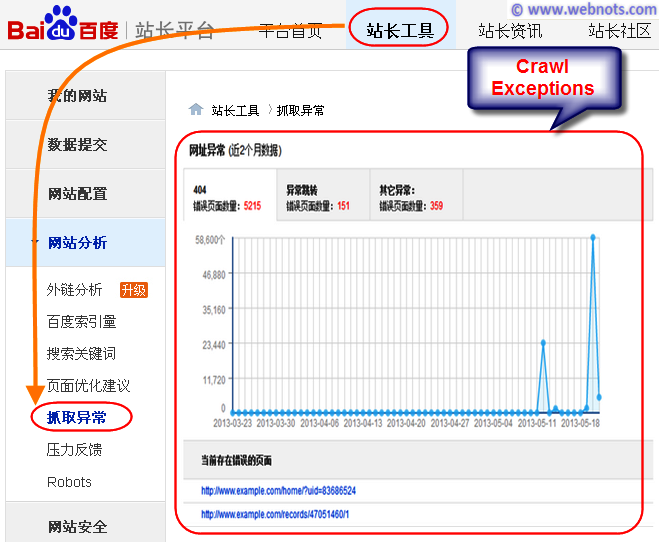 This section shows the crawl exceptions or errors occurred when Baidu spider crawls your site. The page URLs in which the error occurred are shown in the list below the crawl graph. 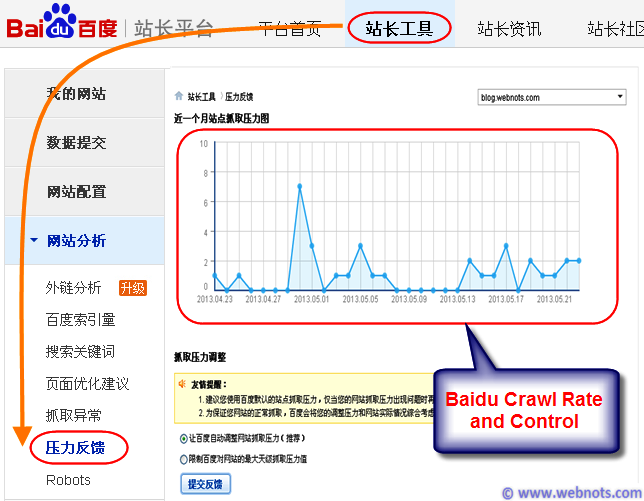 Here you can set the maximum crawling rate for the Baidu crawler to crawl your site. It is recommended to use the default Baidu crawling rate for your site unless you face some loading issues with your site.